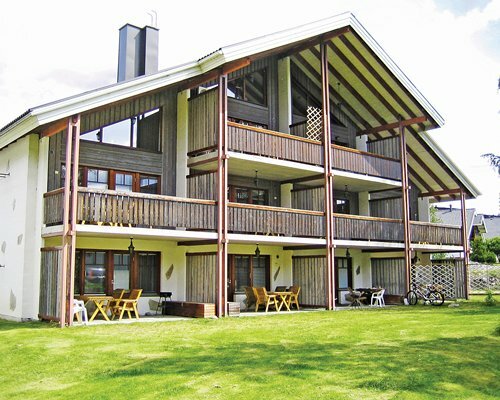 The quaint, comfortable Tahkovuori resort is set on a lake, offering beautiful views of the Finnish mountains and countryside. In the summer months, swim and sunbathe on the private beach. Engage in water skiing, boating, and fishing on this clear blue mountain lake. In the winter, cross-country skiing is accessible right from the resort. Enjoy the wonderful whirlpool/hot tub after a chilly day of sleigh riding, skiing or skating. 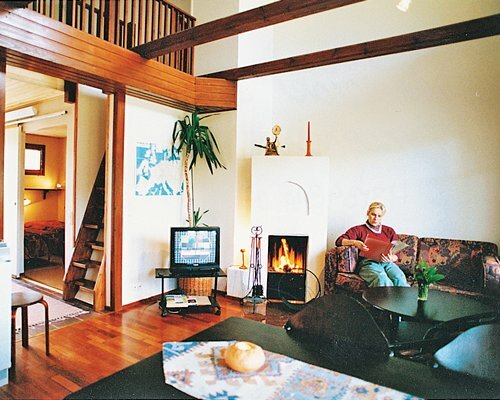 This is a lovely home for your Finnish holiday. 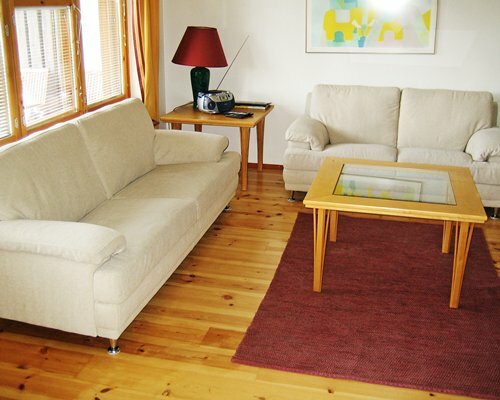 Tahkovuori offers guests peaceful rest and relaxation in spacious, comfortable rooms. 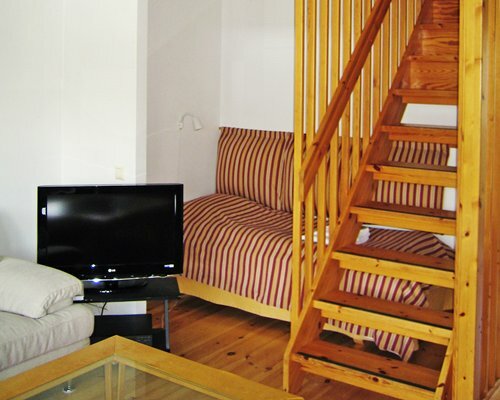 The timeshare apartments and villas are built in the quaint alpine style of Finland. 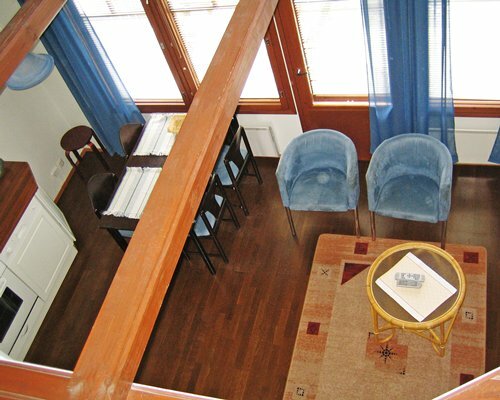 One-bedroom apartments sleep four or six people. All luxurious units come complete with a sauna. 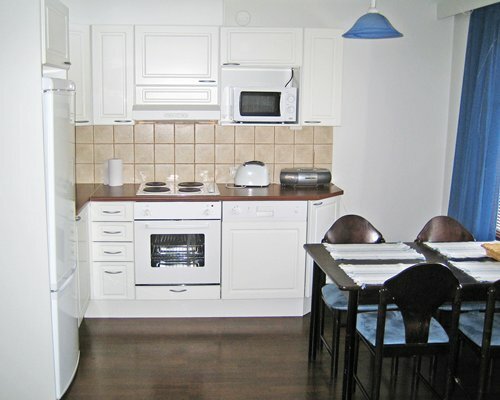 Enjoy a kitchenette or kitchen with microwave for light cooking, storage, and eating in. Select units have dishwashers and a fireplace for cozy winter nights after a long day on the slopes. This is truly an outdoor escape with the best amenities for a comfortable getaway! Tahkovuori (or Tahko) is major ski center in Nilsiä, Finland. 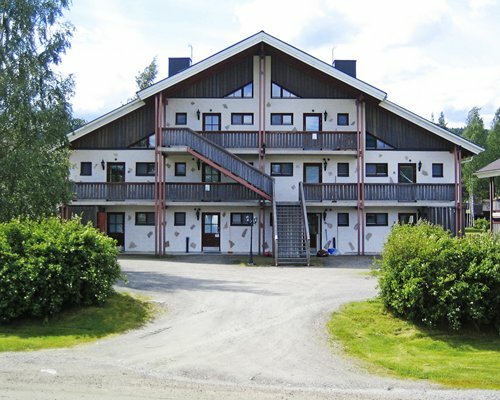 It is located among the gorgeous Finnish lakes and majestic mountains. 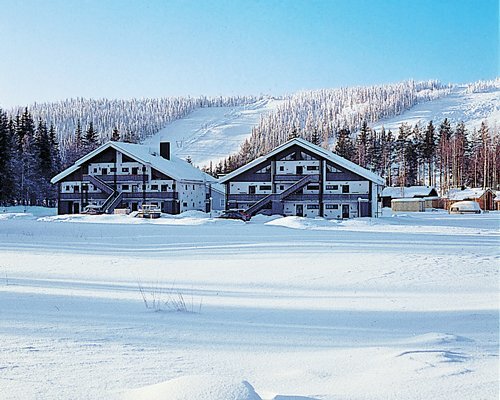 Tahko is a small, popular area with a wide range of winter and summer sports and activities. Enjoy 23 downhill ski slopes and a variety of cross-country skiing trails. Winter activities also include snowmobiles, skating, and dogsled rides. In the warmer months guests can enjoy hiking, horseback riding, 18-hole golf course, and mushroom and berry picking! The quaint town offers many restaurants, market, snack bars, conference facilities, auto rental, and spa. Medical facility, grocery store, and exercise equipment are nearby. BY AIR: Nearest Airport: Kuopio 60kms. Bus connections during the ski season from Kuopio to Tahkovuori. BY ROAD: From the airport drive towards Kuopio for 4kms until you come to the motorway E63. Take the E63 towards Silinjärvi . At Siilinjärvi turn right towards Nilsiä. Drive straight through Nilsiä and then turn right. Follow the signs to Tahkovuori. You will receive the key box code to your holiday unit via text message by 3.15pm on your check-in day. The code and map to your holiday unit will also be emailed to you. If you have not received the code by 3.15pm on your check-in day, please contact the resort office: +358 17 481 400 the office is open Mon-Fri 9am-4.30pm, outside the office hours you can contact +358 17 481 420. Key service email is keskusvaraamo@tahko.com.